Framed with barn wood and ready to hang. This Texas bullet hanging art is presented on tough burlap fabric. 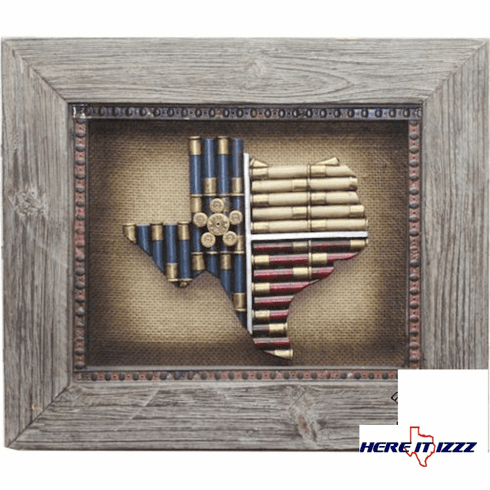 Each shotgun shell casing is approximately .410 caliber,hand painted and realistic.Each piece of ammunition is placed into the burlap to form a Texas Flag Map.